Along with working as a design team member on the development of the Orenco Woods Nature Park, we are also working to develop two sculptures, one to be installed in the summer/ fall of this year and the other at a future date. The sculpture pays tribute to the sites (and areas) name sake Orenco Nursery Company and one of its largest products, the Orenco Apple. 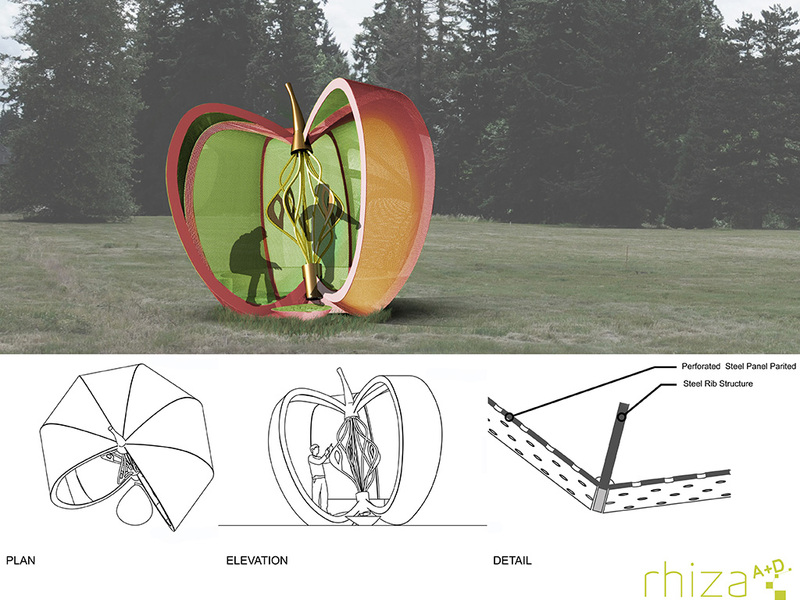 We decided to create a playful sculpture based on an Orenco Apple (in the concept rendering), as it tells the story of a long human and nature hybridization and cultivation – culture.